Estes Park link text and see the magnificent changes in the terrain. See herds of elk, deer, and other wildlife indigenous to the area. Contact: Brigitte Elliott at bzknitter@gmail.com for more information. Frolic with the alpacas! Get your hands on some of that glorious, spun fiber from Lonesome Stone Alpacas. Friday Class, mid-afternoon will be a 3.5 hour project class of either the Streamlines stole or the Dreambird shawl. Stay tuned! Saturday through Sunday Classes will be spent on Lesson One: An Introduction to Swing-Knitting™ and Lesson Two: Understanding How to Morph the Organic-looking Fields. Monday Class will consist of a 3.5 hour class to be determined by the participants' choice. The technique of this German short row style of knitting will amaze the students and introduce them to an exciting way of making their “normal” knitted projects into something unique and beautiful. You’ll never look at yarn, patterns, and colors the same way again! May 11th - Teaching the Dreambird to "Fly". 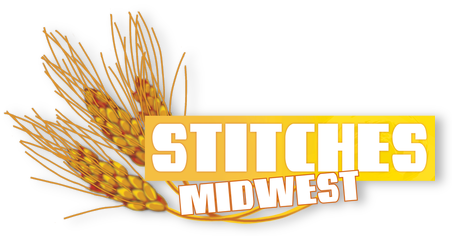 Please join Yarns by Design and the talented instructors at the Spring 2014 Midwest Master's Weekend on April 4 - 6. There are a variety of fiber art classes to match your interests and experience. As always, we will be holding the Master's weekend at the Holiday Inn Neenah Riverwalk. If you would like to stay at the hotel, please contact the Holiday Inn directly at 920-725-8441 to make your reservation. We invite you to attend the buffet dinner on Saturday night. Don't forget to bring a project to share during the Show & Tell session at dinner! Some of this year's teachers have been with us before; some are new. They're all "masters" of fiber arts! Homework and Supply Lists are available. We'll send a copy with your registration confirmation, too. Each year the Minnesota Knitters’ Guild has a day-long event called Yarnover held in the Twin Cities metro area. Prestigious local and national instructors teach a variety of courses and fiber vendors fill the Yarnover Market, which is free and open to the public. Here is everything you need to know about the next Yarnover! It will be held on Saturday, April 26, 2014. The Teacher Dinner will be held the evening before, Friday, April 25, 2014. We're very excited to have Franklin Habit as the keynote speaker! The 2014 Yarnover brochure is finally here! Here's an easier-to-download version of the 2014 Yarnover brochure without pictures. Early registration will begin on January 11th, 2014 at 8:00 a.m. CST for anyone who joins or renews membership by December 31, 2013. Swing Knits®: Teaching the Dreambird to "Fly"
Yarn Durango, Durango, CO. Both Lesson One and Lesson Two are being offered, back-to-back. From the first time I stepped in the shop last year, I couldn't help but remark what a beautiful yarn shop this is. I re-connencted with Jonni, the shop owner when I was demonstrating swing knitting at TNNA in Phoenix last January. Jonni was so kind to invite me to her shop to teach in the middle of October. Talk about feeling welcome! Jonni had a reception at the shop on Friday evening with wine and cheese. The following two days were fun-filled. Jonni is so organized and gracious and saw to it that everything went splendidly. Her husband, Terry was such a great addition helping with everything accompanied with a great attitude good humor. Stitches East, Hartford, CT. Two classes are scheduled of which one has already been sold out. What a blast! There were two full classes of 24 students each. The skirt I designed for the Winter Issue of Knitter's Magazine was featured on the runway with the other designs included in the magazine. It was an outstanding event. The organizers are unsurpassed in their organization of this event as well as being so gracious to those of us who taught. Yarnings, Skippack, PA. One class, Lesson One is scheduled. Gayle Mausolf, of Yarnings has to be one of the most gracious hostesses and shop owners I have ever met. In fact, I got the feeling the two of us have known each other for years. We had fifteen students attend for a wonderful day of knitting interrupted with a delicious lunch provided by Gayle. The students really appreciate having the fine yarns which are offered in the architecturally appropriate house, in the beautiful historical area. Ewe Count, Cheyenne, WY is participating in a "Yarn Crawl". Demonstrations using Swing Knitting will be given in the yarn shop. Penny is really a most amazing woman! When I stepped into her shop, my mouth dropped. There were samples of some of the most beautiful, finished canvases on the walls of her shop--all of which she stitched. She had rooms filled with yarns and needle art supplies. Just from the clientele which came for the demonstrations was a tribute to Penny and her shop. It is also a place where her community comes for support and camaraderie. You could even call her place a ministry. I am blessed to know her. TNNA was awesome! The exhibitors/vendors were en mass. It was a real thrill to be "rubbing elbows with the big dogs." Teaching a class of 24 students was exciting as they learned new techniques which could be applied to their knitting. Students left with a sense that they had learned something useful and beautiful. The trip to Germany was splendid except for the cold I caught on the flight over there. The first weekend was spent in Dortmund where they Creativa was held. It is a huge exhibit of all needle arts and hobbies one could imagine and it was open to the public. I spent five days with Heidrun of www.MagischeMaschen.de (www.Swing-Knitting.com) and Birgit of www.Fadenzaubereien.de. We drove to Moers to visit with Gaby of www.augamo.de. These fine women are my mentors in the swing knitting technique. Heidrun and Birgit taught me how to create leaves and actually knit a moebius at the same time. Right now I have approximately 250 markers in my fabric! Side note: Check out Heidrun's blog for more photos of our adventures. We took one day to visit the Zitron facility. Mr. Zitron educated us in understanding the characteristics of fine fiber and expert processing to achieve consistently excellent yarn. His knowledge and hospitality were much appreciated. The trip ended with a visit to the H & H (Handarbeit und Hobby), a trade show in Cologne. That is where I met up with people I had only met on Ravelry. For instance,"Lanarta" was there wearing her new dress she had knitted. She presented her work of art in the fashion show and was awarded for her artistic achievement. I ran into Karin Skacel CEO of Skacel Collection, Inc. and her Director of New Product Research and Development, Chuck. It was fun to see exciting product lines from all over the world. I am always impressed how many languages are spoken having observed one sales rep who spoke in English, French, German, and Italian to four different customers within 20 minutes! Now it's back to work on my moebius. I have so many ideas and not enough hours in the day to knit the ideas into reality and then into a "pattern. Michelle Newman, free lance writer and artist extraordinaire, met me at Taos, NM last October. Her travels brought her to Fort Lauderdale in January so she gave me a ring. We met at my favorite Fort Lauderdale yarn shop, Yarns & Art,s where she met Maria and Alex. Read the article for yourself. Perhaps you will want to come to our beautiful city. How about organizing a destination retreat on the beach or even a three day cruise?